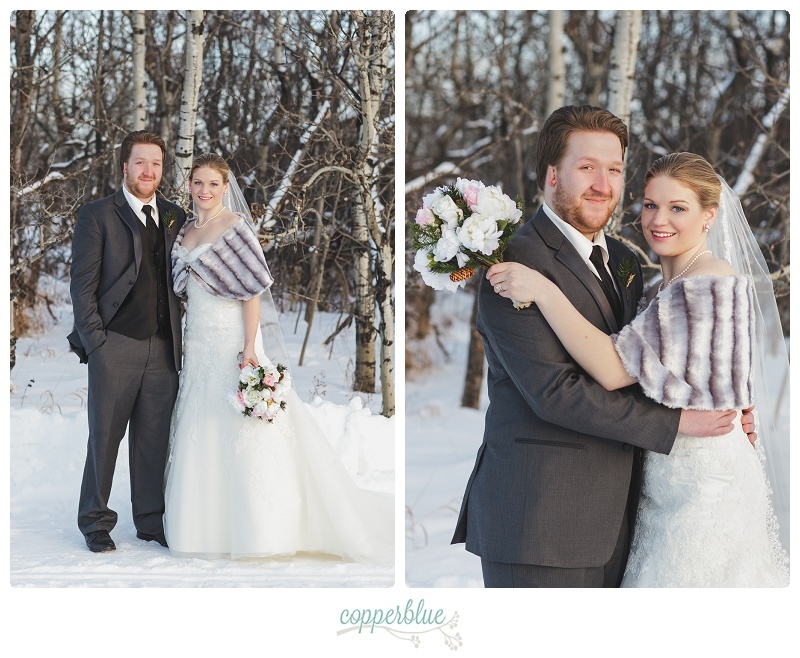 The temperature on my dashboard read -36 C as I cranked the heat and hit the highway for Ashton and Brett‘s rural winter wedding. 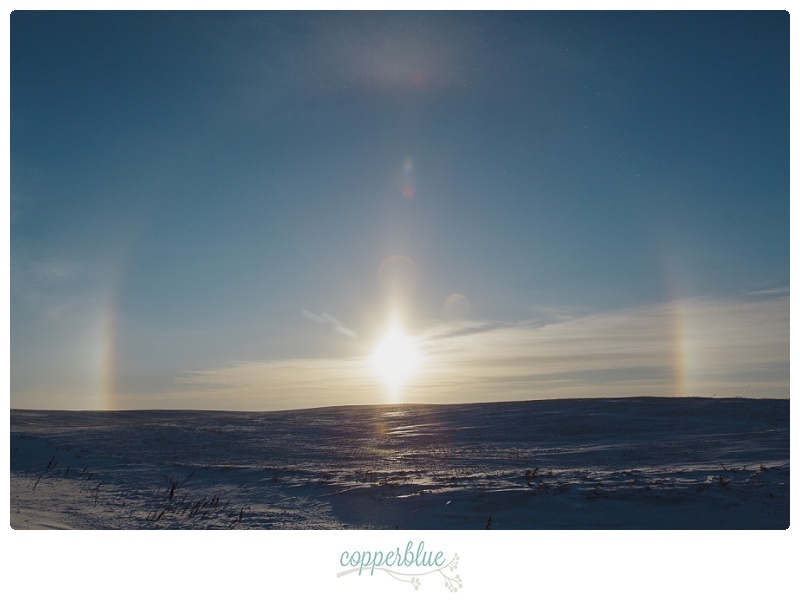 As I turned into Englefeld, sundogs glowed on the horizon over the snow-drifted fields. 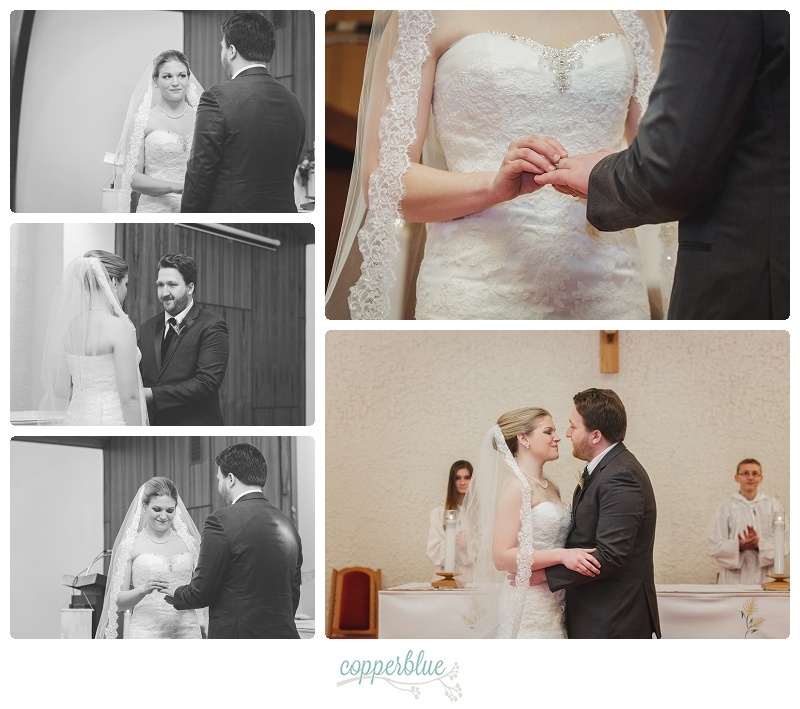 Ancient superstition regarded parahelion as a lucky omen, and I knew as soon as I saw them that we were in for a beautiful day. 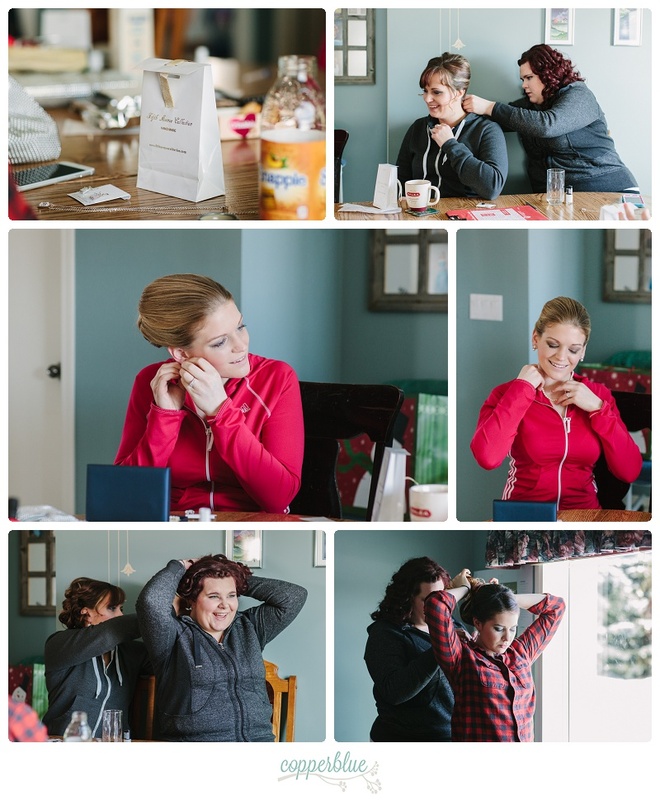 After hair and makeup at the salon, the girls got ready at Ashton’s childhood home on the farm. 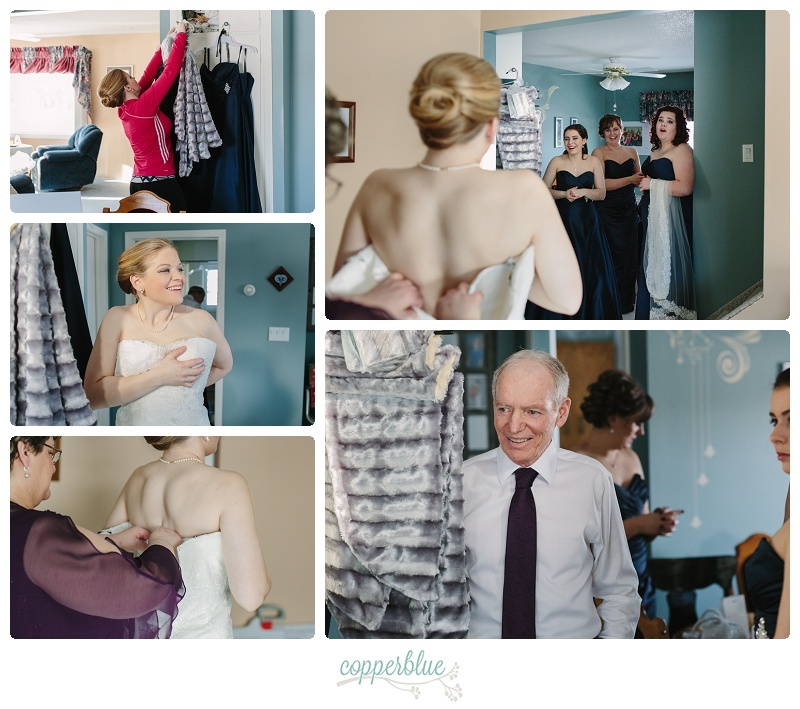 With Dad and the bridemaids looking on, Ashton’s mom laced up her dress in the living room where so many special days had already been celebrated. 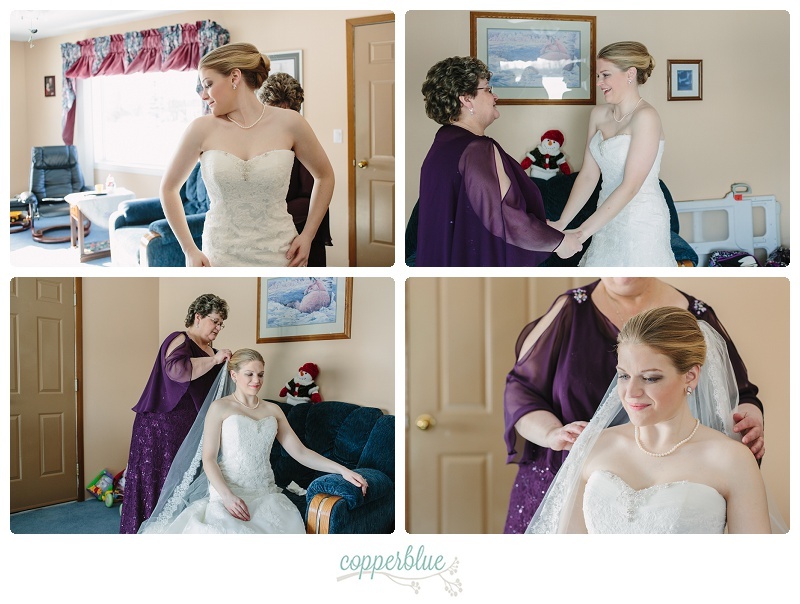 The bridal prep portion of a wedding day is one of my favorite parts to document, and it becomes infused with so much more meaning when it encompasses the larger story of family and home. 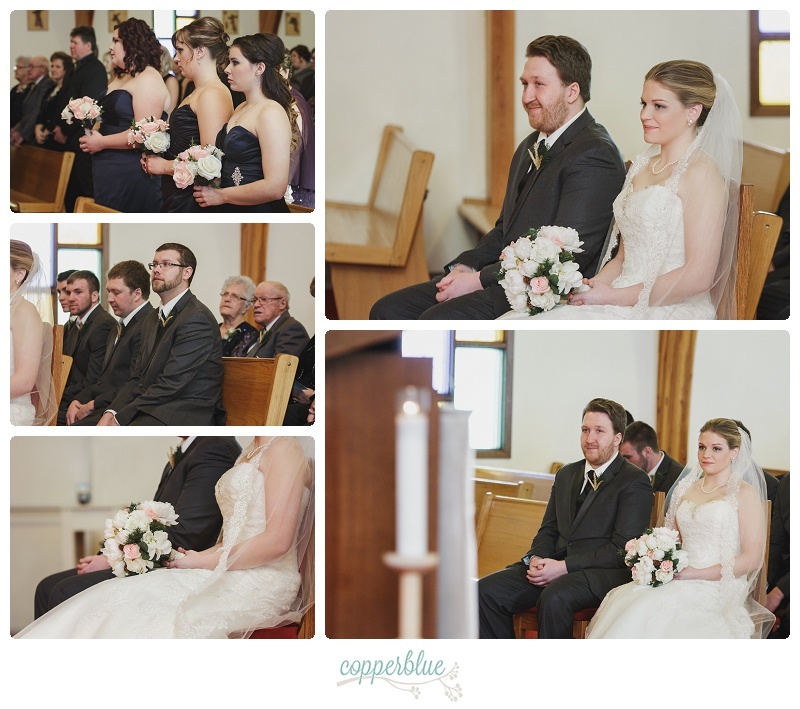 Englefeld Church was warm and welcoming as guests stomped snow from their boots and gathered inside to witness Ashton and Brett say their vows. 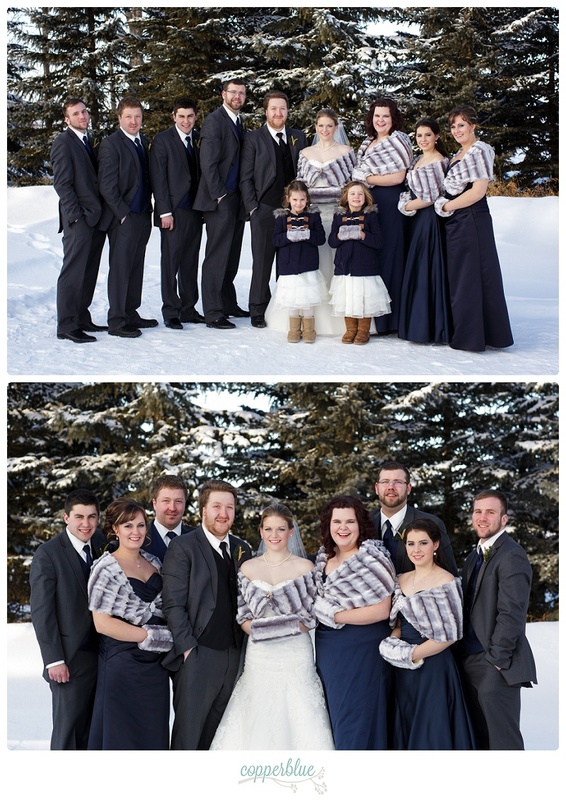 We then returned to the farm, where family and friends visited while we worked in quick shifts to create some formal images outside with the snow and trees, just as Ashton had envisioned. 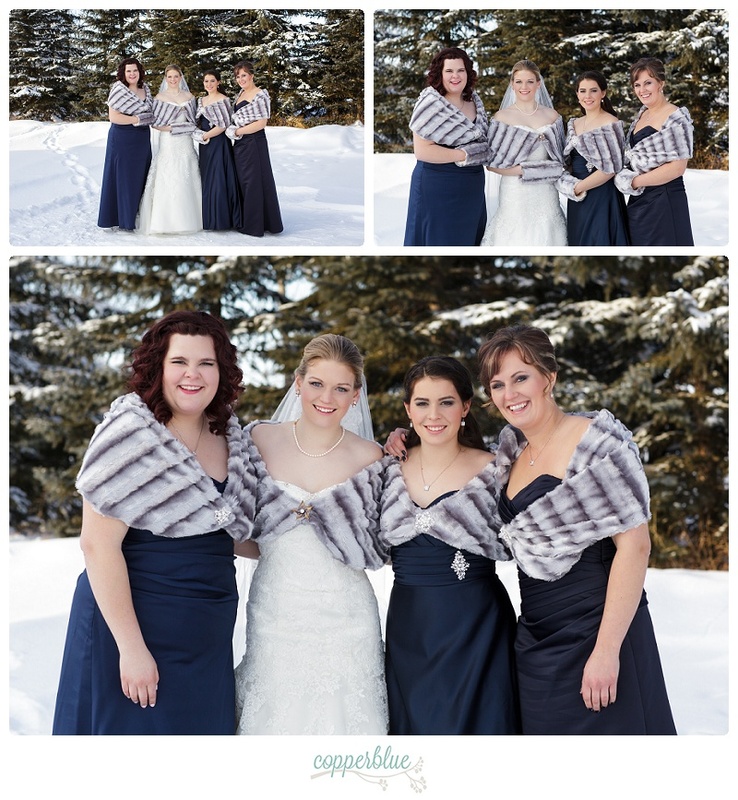 Ashton’s mom had sewn grey faux-fur stoles and handwarmers for the girls, adding a cozy touch of winter elegance. 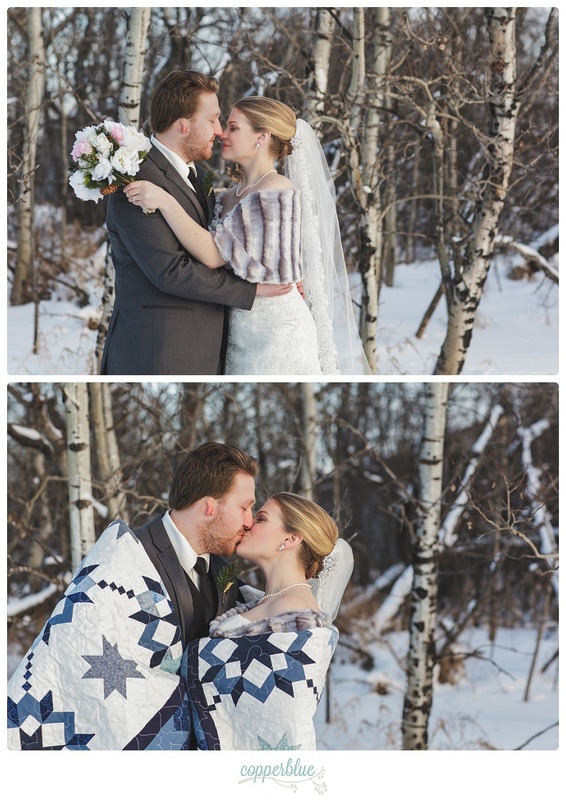 When Ashton and Brett snuggled up for some photos, her mom brought out one of their gifts – a stunning handmade quilt in their wedding colors, to keep them warm. 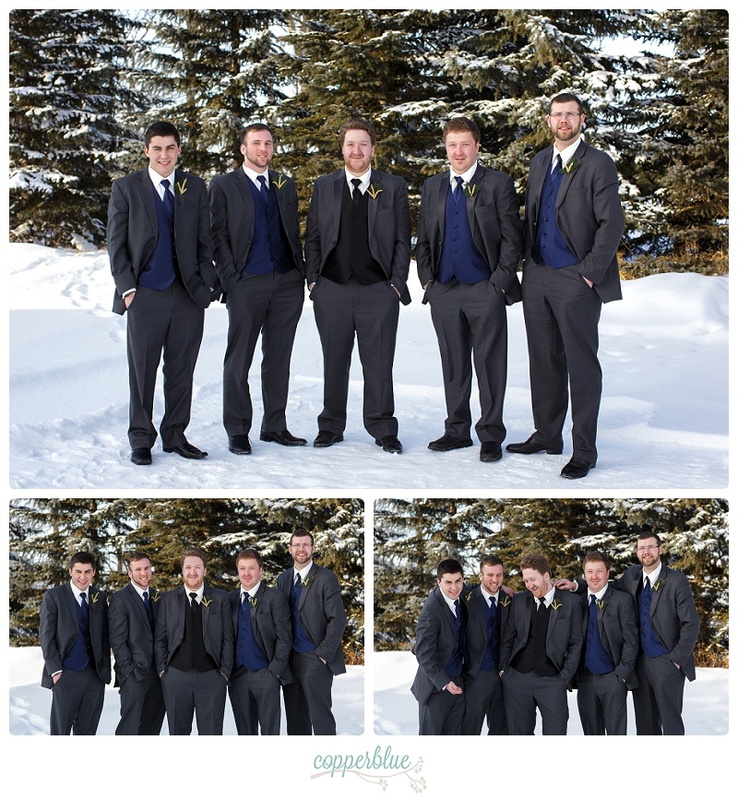 Ashton and Brett’s rustic DIY decor added a festive post-Christmas touch to Humboldt Uniplex for their reception. 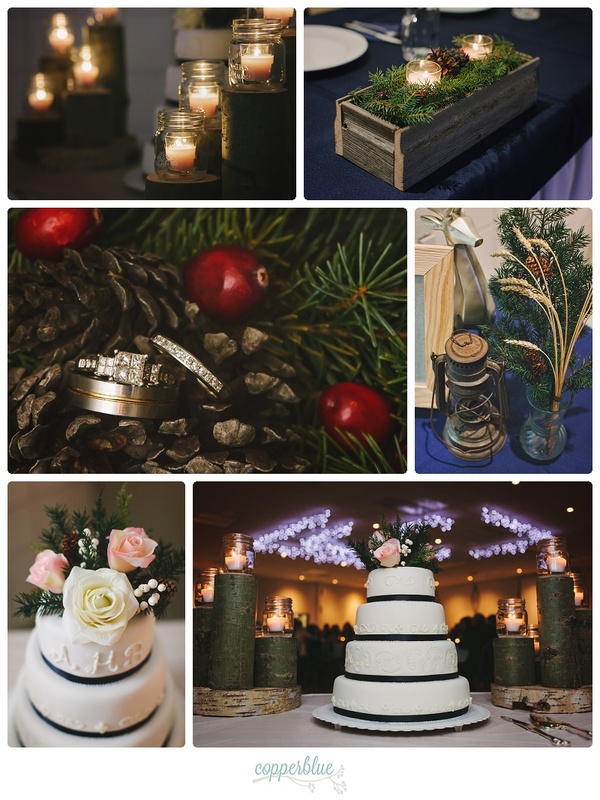 Tables were adorned with barnwood boxes made with wood from the family farm, and filled with spruce boughs, pinecones and cranberries. 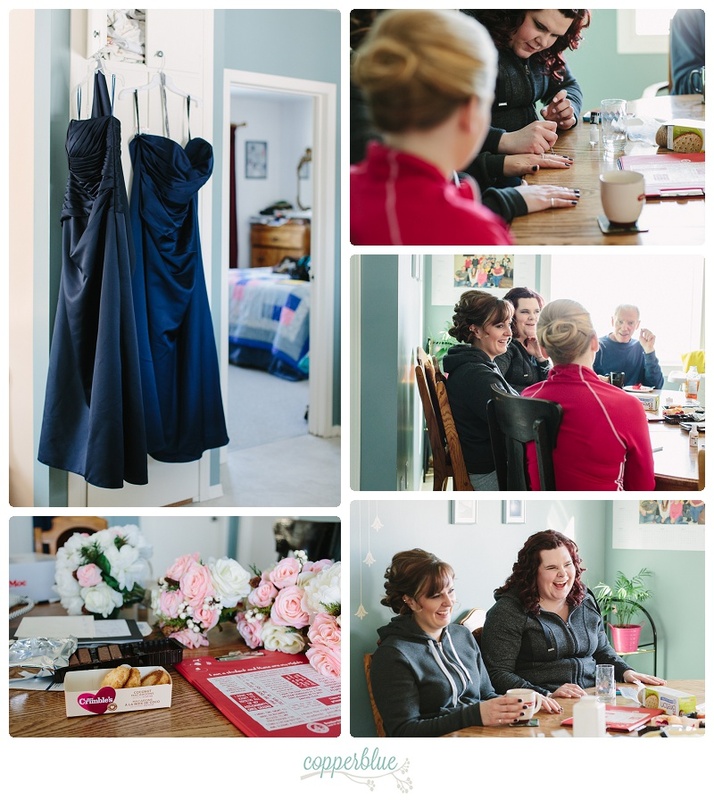 Ashton’s mom stepped up yet again, with a simple but stunning cake topped with pink roses to match her bouquet. 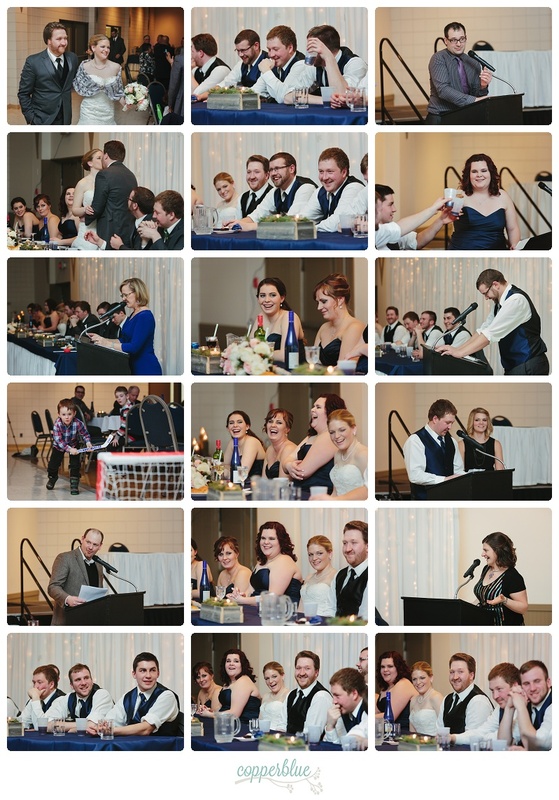 It didn’t take long for everyone to thaw out once the laughter and music began to flow. 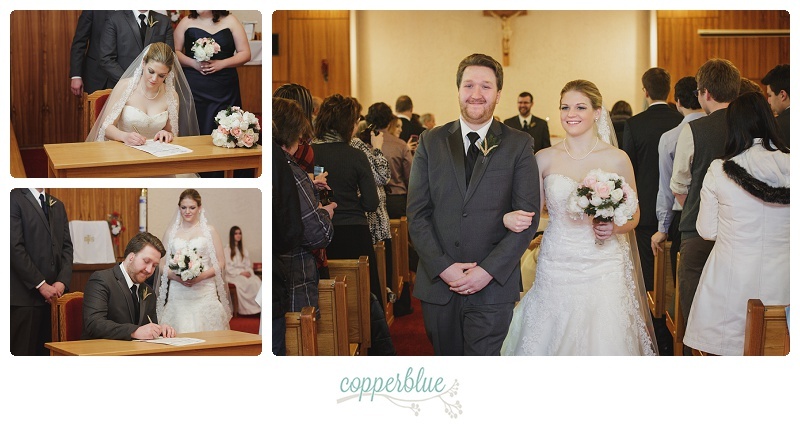 Congratulations Ashton and Brett, on a gorgeous day filled with warmth and joy! 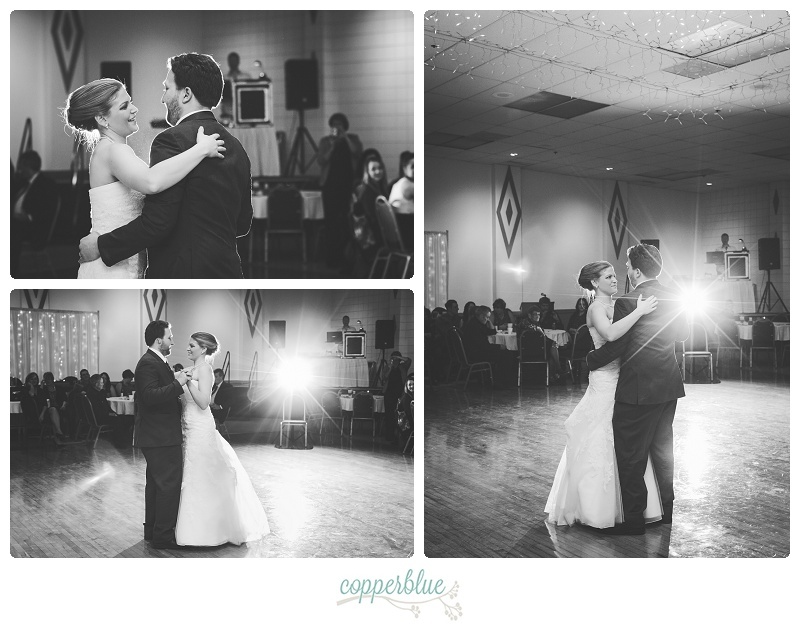 These images are awesome! 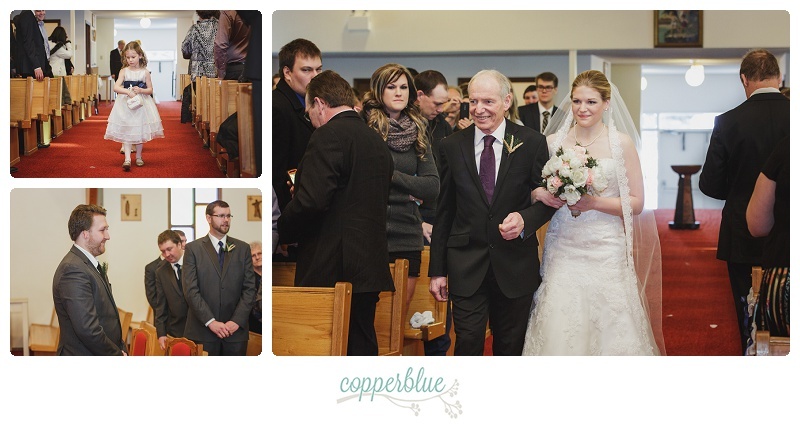 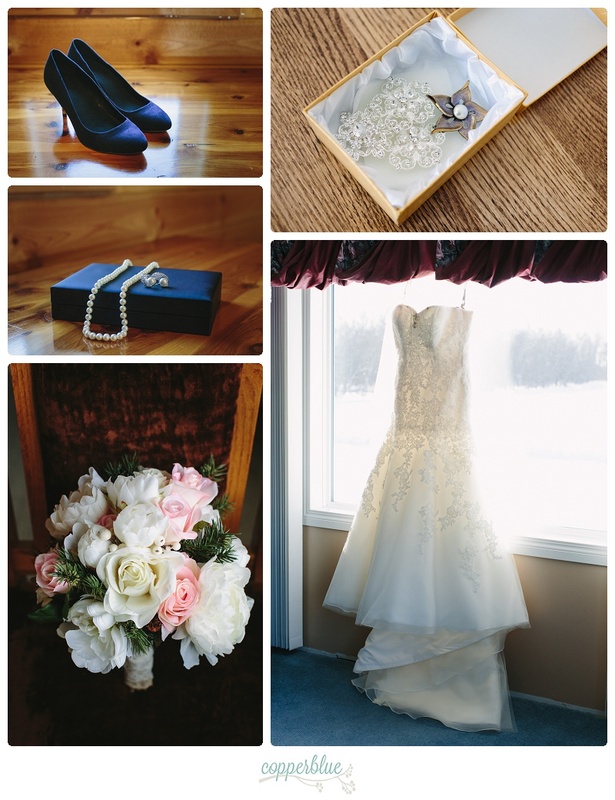 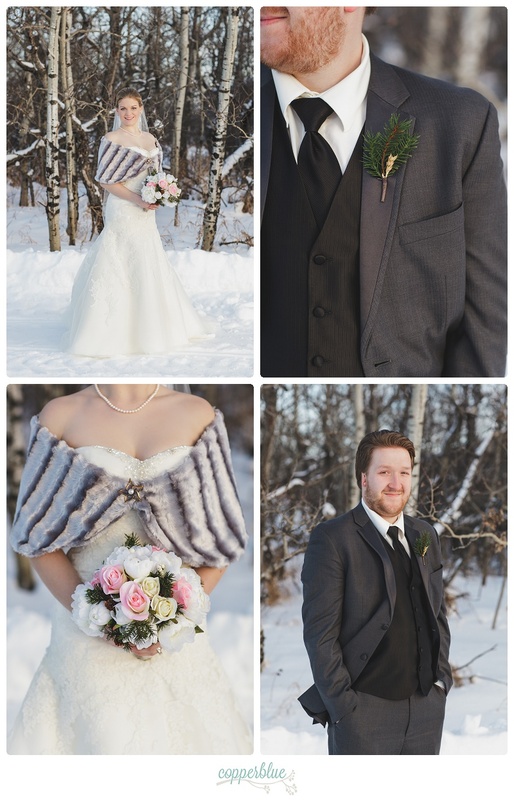 I absolutely love winter weddings (shocking because I hate winter)! 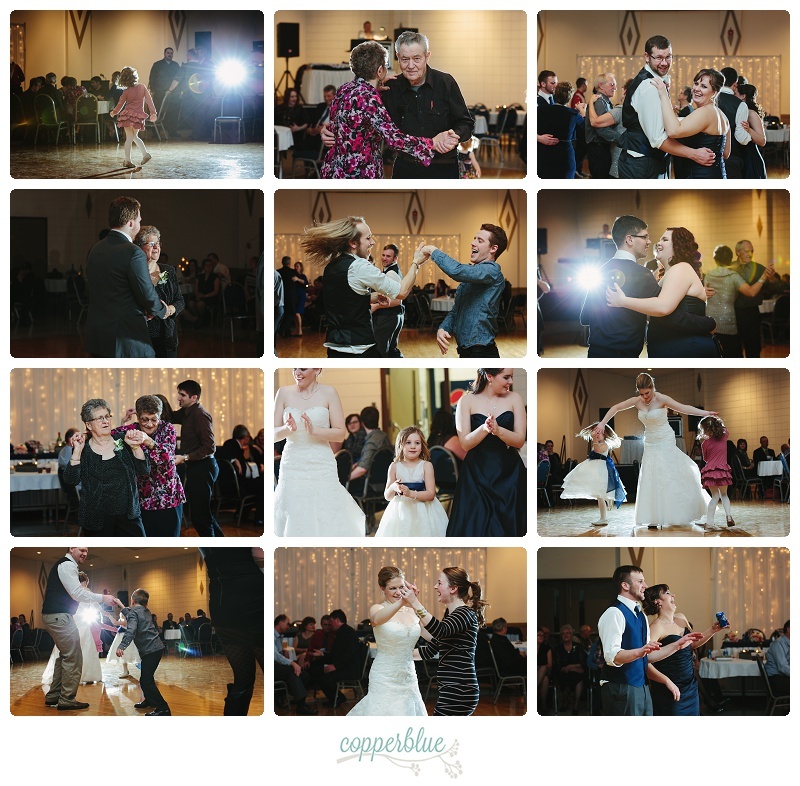 You have captured the love perfectly…PLUS I am really loving the dance floor pictures.